Article by Morton Herskowitz D.O. 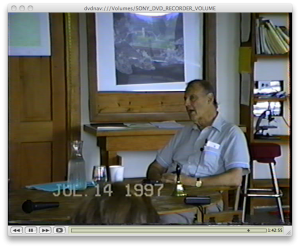 Dr. Herscowitz sharing his memories of Reich. Rangley Maine, 1997. I’m going to start with some caveats. The first is about memory, memory can be very tricky and a very simple example is the fact that I had dreams and remembered situations from my treatments with Reich and I pictured myself in the room which I was treated in. I was lying in this direction, and the fire place was here. And when I visited the museum years after my therapy, the fireplace was not there, it was on the opposite side of the room. That’s how memory sometimes can work. In addition to that, I have memory defects of someone my age, which usually affects recent memories rather than longterm memories but still operates in terms of all memories. The second thing is that I knew Reich in a very limited capacity, I knew him as a patient, and I knew him as a student. There were many aspects of Reich that were beyond me because there where many aspects of him that I never came in contact with. The third caveat is that sometimes when someone says something, you assume that that’s it, for example, I once heard an interview with several former presidential ladies who talked about the fact that occasionally, the president would bring some information about something that one of the members of the department had done, which would displease the president, and the president would say “fire him immediately”, the next day he would say, “ call so and so in, I want to talk to him”.. “mr. president, you said to fire him yesterday.” And if indeed you’d fired him you’d get hell. So you didn’t always take the president at his immediate word, because that was an immediate explosion that wasn’t his true meaning. And in that matter, I think I’ll start with the Ilse Ollendroff wrote in her book, she wrote that once when Reich was dealing with a patient that was a homosexual he said, “I don’t want to have anything to do with that filth”. Which Ilsa took to mean that Reich at that time had a feeling about homosexuals and which he went on to elaborate as being something defective in Reich’s character. I once had the opportunity to ask Reich, “What’s your experience with homosexual patients?” And he gave me a very straight forward easy answer. I’ve had some successful treatment with homosexuals and it’s in my files. In those days, the goal of treatment of homosexuals was at least in many cases, different from the treatment goals these days. It was to turn homosexuals into heterosexuals, and I don’t know if that’s what Reich meant by “successful treatments” but I do know that he didn’t have the kind of antipathy towards homosexuals that Ilsa wrote about in her book. These are the caveats, and I’ll tell you how I came to Orgonomy. It started when I was sixteen years old, and in those days I lived in a neighborhood which was largely jewish and some of us adolescent jewish intellectuals would meet in the park and discuss everything from the meaning of life, to science, to politics, and in one of our discussions there was an argument between the guy who was the oldest of us and myself, and he said to me, “you don’t even know who Freud is” which was true, I had never heard the name. That summer I worked as a bus boy in atlantic city and went to the atlantic city library, to read Freud. They had one book, which was Freud’s Studies on Hysteria, and I read the book, of which I understood maybe only one page, but it was fascinating, it was new and interesting things to think about, and that was where my interest in psychiatry began. Later in life after I became a physician, I assumed that I would go into psychoanalysis, and I was taking didactic courses in psychoanalysis at the Institute of Pennsylvania which was the home of psychoanalysis in Pennsylvania, under a very reputable psychoanalyst. Occasionally I would ask questions and I know that the answer was circular or double talk, and I was unsatisfied, but I assumed , well, I know that there were many valuable things that I had learned here, and this was simply the state of the art at this time. I was also searching at that time for an analyst, and I knew several of them personally and I knew that I didn’t want to entrust myself to any of them that I knew. The one that I was closest to was a man that had been very helpful to me in my psychiatric training, but he was a man who was afraid to drive a car, his wife had to drive him around everywhere and I didn’t want to entrust myself to him. And in the midst of trying to find an analyst, my father in law who was a very well read scholar said to me one night “you know I just read a very interesting book and I think you’d be interesting in it” and I said “what is it” and he said “Sexual Revolution, by Wilhelm Reich”, and I said, “ Oh That guy is nuts.” and he said “How do you know?” I said “everyone knows he’s a nut.”, and he said, “You’re sure he’s a nut and you’ve never read anything he’s wrote”, so to please him I read Sexual Revolution. And there, some of the questions I asked my psychoanalytic teacher were answered in such a clear and straightforward manner, and I thought, this guy is something fresh and new and wonderful. And thereafter, I read all of Reich’s books that had been published at that time. I thought, this is the therapy I want to be in and this is the man I want to be in therapy with. At that time, Reich was practicing in Forest Hills, and I called and had an appointment with Reich. Of all my readings, everything made perfect sense to me except what Reich had written about orgone energy, and that seemed very strange to me. So I had determined that in the initial interview I was not going to talk about orgone energy. So I went to his house in Forest Hills and Reich descended the staircase. He was wearing a lab coat and I immediately thought, oh there’s the scientist about orgone energy. But my impression was a very striking one, because one looked at him and one had the impression of a battering ram, he was a powerful looking man and when he got closer I could see there was ? deltshmirts in his eyes, and when he talked I could hear that everything that he said was essential and sensible. One thing that would strike me of his appearance was the size of his head, now I don’t know if his head was actually as big as I thought or just gave the appearance of being big, but he had a head as such as I had seen in two other people in my life, one was the composer William lobos? and the other was Einstein who had that kind of head. Now I don’t know if it goes back to chronology or what, but these 3 geniuses had the appearance of their heads being too big for their body. 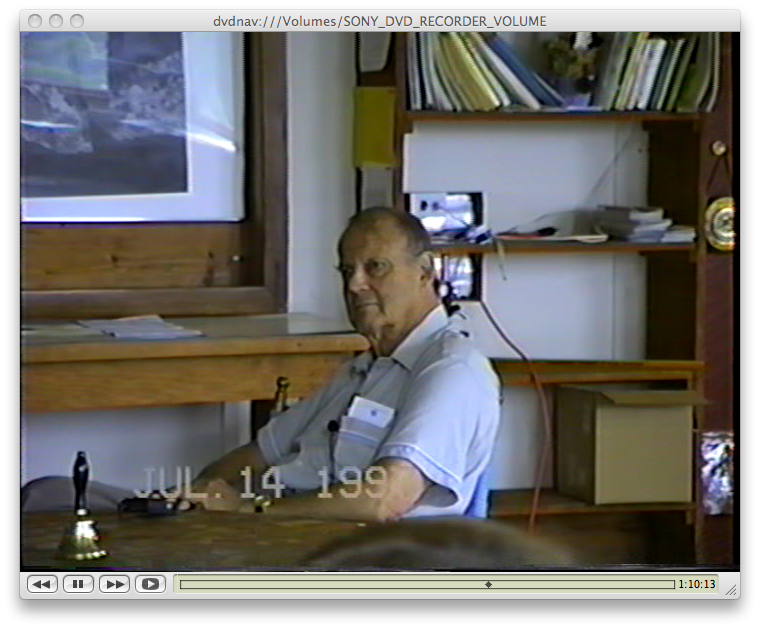 We sat down and Reich asked me of my history and my training, and then he said, “What do you think about orgone energy”. I said, “It seems strange to me.” And I thought “oh boy, here it comes”. He said “I can understand that, having been trained in science as you were, it must be strange to you. If I accept you as a patient and if you eventually get that far, you’ll do the experience that I’ve written about and you’ll see for yourself if what I’ve written about is true or not.” That seemed eminently fair, so i was going to go with that 100%. And then he said, “If I accept you as a patient, you’re only a patient, you’re not a doctor you’re not a student, you’re only a patient.. you’re no special character, you’re a patient like every other patient.. and if at sometime I think you should be hospitalized, you must agree to be hospitalized and that I had to sign a paper to that effect. And I thought, I can’t see that that would ever happen, but I certainly agreed to it. Now what he didn’t know is that my wife had said, “if he changes you radically i’m going to kill him”. Now I never got that paper to be signed, and I think that was one of the mechanisms that occurred throughout my therapy, there was always an aura of testing to see how completely I agreed with what appeared to be happening. Another instance of that, during the course of my therapy, at one point, I paid $50 per session. And at one point, Reich said “your sessions are going to be $100 from now on”, and I said, “okay”, and I went downstairs and gave the receptionist a $100. I would have paid $200 for a session. When I returned for the next session I went downstairs to pay the receptionist a $100, and she said, no doctor, it’s only $50, so it was a means of testing how much I valued his services and if $50 bucks would make a difference. There was another instance in the course of my therapy where therapy had been going very well for a while, then I got into a therapeutic doldrums where nothing happened for many sessions in row, and Reich said to me, you will never be a therapist, you’re too dead. I never knew whether I would like to change his mind or not. I know the day he said why don’t you take on a patient and treat the patient orgonomically, bring me the data and we’ll go over it, that was a hallelujah day. 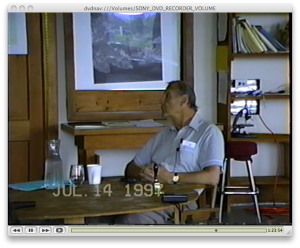 About Reich as a therapist, when one went into a session with Reich, before he walked in, you did a process of self cleansing, you never did small talk with Reich, you always were serious and you always had an intensity about you. There was just something about walking into that room which was kind of a change of a degree and in the therapy session, things would happen, you would walk in a you’d lie on the couch and you would breath for a while and Reich would look a certain way or do a certain maneuver, and suddenly the energy was spinning, and you would say, you would indicate to him, “Wow”, and he would say, nobody else can do that, I’m the only one that can do that. And sometimes you’re in therapy and Reich would say, I gave the wrong answer to something, he would say, “I’m the only orgonomist, no one else can do orgonomy.” He was certainly not a modest man, but he was honest that way. There were certain things happening in one’s own therapy, once I came to him with a story of how a psychiatrist which I had been very close to had said something derogatory and I reported him, the guy indicated that he thought that Reich was in a sense crazy, and Reich took what I said and wondered whether I was projecting my own attitude toward him and claiming that it was what this other psychiatrist had said. He said, “I’m crazy, you think i’m crazy”, and he walked to the fireplace and picked up his riffle and pointed it at his head, and said I’m crazy I’m crazy, and I immediately thought of the New Yorker cartoon , a psychiatrist with a riffle to his head, I started laughing and he stopped and quickly saw that the whole thing made absolutely no sense to me, and he quickly said, don’t you do that with your patients. Often when I was telling him something, I would stop and say um and he figured that each um was space for me to hide something. And he would imitate my ums and he would do it in such a way that was so annoying, so he had a way of getting at one, and annoying one and picking at one which was very difficult to bare. On the other hand, there was a tenderness about him and a comprehension of the patient, that you knew that you were always deeply understood. Another aspect of Reich as a therapist, Dr. Oliver once told me that he was going into a session determined not to tell Reich about one of his private affairs which he thought was none of Reich’s business, and he says he laid on the couch and took a few deep breaths and Reich said, “what are you determined not to tell me”. That was the kind of context that Reich had. On one occasion I had read an article that Reich wrote in the journal, and it was a wonderful article and Reich said, “what did you think of the article”, and I said, “oh it was wonderful, I learned so much, I just think it was great, etc.. but I said your english is very germanic and very ungrammatical and I wish that it was written in pure english”, and he said to me, “I’ve just taken you up in a flight in my airplane and I’ve shown you distances that you’ve never seen before and you’ve been astounded at what you’ve seen, and you say to me, yeah but look how you put in the floorboards, you sure don’t know how to put floor boards in an airplane. And that was Reich’s talent for metaphors, he had a tremendous talent for metaphors, which I think is the product of the fact that he could get at essences completely. I can think of several, for example, I think of his description of the therapeutic process, he said if someone has had a traumatic beginning in life, and later comes to therapy, the traumatic beginning is like a tree that has grown with a large curve in it, and then when they come to therapy, if you’re successful, you can gradually straighten the tree, so when you look from the top, it seems as if it’s a straight growing tree, but when the heavy wind comes, that tree will blow over before the ones that have grown straight all their life. Another metaphor about ones or most peoples preoccupation with sexuality. He said that if there’s a factory that runs on steam power and everything is working well, the workers are at work, the machines are running smoothly, everyone is content, there’s no talk about steam power. But if something goes wrong with the boiler and the steam power fails, people are thrown out of work and steam power is on everyone’s mind, and that’s how peoples preoccupation with sexuality and their distortion of sexuality is a reflection of something having gone wrong with the steam power of sexuality. One of my favorite descriptions of how one should conduct therapy is Reich’s example, the locomotive is on the tracks and there are blockages on the tracks, he said “you’re function as the therapist is to remove the blocks, it is not to push the locomotive”, and that’s essentially the best description of how to conduct therapy that I ever heard. Another way of saying the same thing is when he said, “you never go down into the patient, you pull the material up, if you’re therapy is going well it comes up to you.” These wonderful metaphors were his appreciation of the essence of every process. 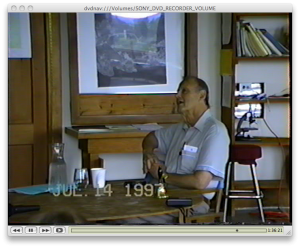 Reich’s conferences here at the Organon were scheduled to go for 5 days. On the first day, we were listening to him address a specific topic and we would go away from that conference elated, stimulated, sparkling and just thinking how fortunate we were to be in the presence of such a guy. On the second day, we proceed discussing topics and someone would say, can we have a coffee break now, and we’d have a coffee break, and someone later would say, can we have a coffee break now, and we’d have another coffee break. And the third day, we would call for times for fresh air, we would call for coffee breaks every half hour, and Reich would say, “I think you’ve had enough of me, right?”, and we would say “right”. So that the conferences rarely lasted five days, because there was a too muchness for us about Reich and I’m sure for him there was a kind of too littleness about us, from his point of view. Reich treated various therapist in different ways, it was very clear that he would ask a question, and a therapist, a particular therapist would give an answer and Reich would be very impatient with him. 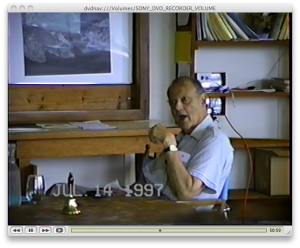 Whereas he would ask a question of another therapist and the therapist would give an incorrect answer and Reich would ask the next question and lead them on until he found the correct answer, so he had a very natural and very different way with dealing with each of us. Reich never got angry in the course of my therapy, but he certainly got angry when we were all assembled, as a matter of fact, I had never seen such anger as he could muster up when he was particularly angry at things he had heard, for example, on one occasion when he learned that one of us had taken a mouse that he’d been working on and after he was through, exterminated the mouse and thrown it in the fire place. Reich was outraged, and when Reich was outraged, it seemed to me that a cloud would form over head, now I don’t know if that was my imagination or there were really clouds overhead, but it certainly seemed that his anger was of such force that black clouds formed over our heads. He was very impatient, if an answer to one of his questions he would give, a statement that he regarded mechanistically, that annoyed him very particularly, or sometimes we would give him an answer and he would say, that’s psychoanalysis, that’s not what we’re doing. But if we came up with an answer that was functional and in line with what he was teaching us, he would beam and he would say, “that’s right”, as if thank god you got it, actually like a proud papa when we did well. In general, his manner with us was formal. He kept his distance, formal professional distance. We addressed him as Dr. Reich and he addressed us as Dr. so and so. Now despite this formal and professional demeanor, there was once an occasion where he gave a party, it was the only party that I remember he gave, and my wife said that he came up to her repeatedly during the night and said “you think they are having a good time, you think they’re happy for this occasion”, and he was acting like a worried host, which was not the Reich that most of us were acquainted with. There were several times also when he with me, dropped his professional demeanor, one of them was a weird occasion, it was when I was seeing him in Forest Hills and he had a bad toothache, and he said to me, “Do you know any dentists around here, which was a weird question cause I was coming from Philadelphia. How I would know a good dentist in Forest Hills was wild, but he acted like I was one of the neighbors and I could refer a good local dentist. Another occasion was when he said, “Take my stethoscope, would you listen to my heart?” So I listened to his heart and I heard a murmur, and in those days I could describe a murmur much better than I can now, and I described what kind of murmur I heard. He was acting more like a patient rather than a doctor and when I told him, he had apparently heard the same type of murmur, so there were very few occasions when he dropped his professional role and assumed this other kind of aspect. With regards to humor, Reich was witty but I never heard him belly laugh. The biggest laugh I heard, which wasn’t a very big one, was when he said to me at one point, “You know when Darwin explained to people that they were dissented from apes, they were outraged. 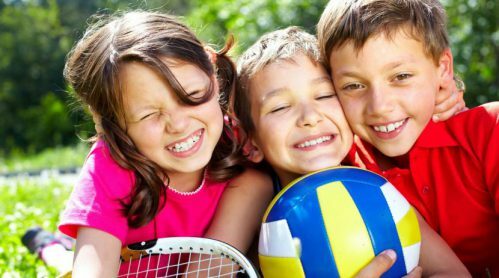 What do you think they will think when they find out from me that they’re related to earthworms.” But it wasn’t the kind of belly laugh that people with a big sense of humor had. Often during the course of my therapy, he would smoke, he would chain smoke, and that never bothered me. And often when I was on the couch, I could see that his head was someplace else, and I never called him on it, because I figured, he may be figuring out something tremendous and I’m not going to disturb him for the sake of my little hour here. When it comes to the period of the trial, I read in various places that the physicians were derelict because Reich was not proceeding properly and the physicians hah no part steering in any direction. The fact is that the whole business of the trial was a huge mess, it was very clear that the FDA thought of Reich as a quack, and were treating him a a quack, and consequently they prepared a careless case and charged him with all kinds of unjust accusations, and they didn’t bother to prepare a careful case because they thought they were dealing with a quack. On the other hand, Reich did not react as a properly accused victim of unjust accusations who could have gotten the best legal counsel possible and proceeded to jam the accusations down their throat. Instead he assumed the role of a historical figure and he was taking on the case of Galilleo and Giordano Bruno, and he was going to finally let government know that they had no right to interfere in scientists doing honest work. And that juxtaposition of the FDA on one side with their cockeyed case, and Reich not defending himself adequately legally was a horrible result. Now the physicians hired themselves their own lawyer at the time because we were also named in the injunction, and Reich hired a lawyer, but it was very clear that he intended to defend himself, and it was as true then as it is always, that someone who acts as his own lawyer had a fool for a lawyer. The physicians tried to prevail against him acting on his own self defense and tried to convince him that there was much better way. The essence of the matter was that in the legal matter, especially since most of the lawyers who were consulted said that Reich had an excellent chance of doing well in a legal battle and putting the onus on the FDA, but Reich’s attitude of assuming a historical role made that impossible, and even though he consulted us, and he consulted us sometimes individually or in a group, what ever advice we tried to give, he proceeded on the path that he had originally determined for himself. I remember one day at the trial, it was a particularly miserable day for him, being slammed throughout the day, of course his defense was, ” I disobeyed the injunction, but it was an illegal injunction and they had no right to issue it in the first place” . His immediate response to the injunction was to mail all of his books to the presiding judge with instructions to read the books to see how unfair the FDA injunction was. Because the FDA for example had said that Reich claims that he can cure cancer, but all the cases they sited were patients that had died in the book, it was a poorly prepared case, and you would assume that if he sent all the books and the judge then made time to read the books, he would see how unjust this accusation was. I’m sure the judge never looked at those books, because he probably had a back log of cases, and he was probably going to proceed according to the speed of the trial and what the prosecuting and defending lawyer said. At one point Reich said to me, “I have the choice of going before a judge or a jury, which do you think I should do?” At that time, the flavor of the opinion of the citizens in this area was not a favorable one towards Reich, he was regarded an outsider that had come up here and built a big house in the Rangley community. I thought, they will never understand what he’s trying to say, whereas if he’s fortunate enough to get an educated sophisticated judge and if the judge has enough empathy and sophistication, Reich may be able to convince him with his argument, so I said, “I think it would be better if you had the judge alone”, and Reich thereafter gave me a speech about 12 men tried and true, ordinary common good men, I could almost see flags waving when he gave me this speech, and I thought, “you’ve written about little men, you know the fallibility of ordinary people more than anyone else, how could you think that they’re going to understand what you’re trying to tell them.” So eventually he did pick a jury trial and it took not very long for them to convict him. Those were terrible days, I can remember one day during the trials, another very bad day, some very prominent psychiatrist had written a very unfavorable review of a recent Reich book. I wrote an article in the journal about the reputation of this psychoanalyst, and Reich came over to me during the intermission in the trial and if it had been anyone else, he should have been totally impressed of what had proceeded, instead he said to me, “That article you wrote, he hits us on the head and you slap him on the wrist.” And I thought, wow, in the midst of this trial, he can still have time to worry about the fact that I was too general in response to the guy who had slammed this. About a very prevalent topic was Reich being psychotic, one day during one of my sessions a plane flew overhead, and Reich said, “Eisenhower is using the air-force to provide surveillance over this place because he wants to protect me.” And I said, “how do you know that’s just not an ordinary plane, planes fly overhead all the time, and that may have nothing to do with Eisenhower or the air-force.” He said, “Maybe, we’ll see.” Which would not have been the response of somebody who had a psychotic delusion, that Eisenhower was protecting him with surveillance flights. During my therapy, one of my friends who was a professor of opthamology, said to me, “What do psychiatrist think of Reich”, and I said, “They think he’s crazy”, and he said, “no, the good psychiatrist, the authentic psychiatrist.” And I said, “They think he’s crazy.” and he said, “I don’t believe that, I think the well placed academic psychiatrists would not think that.” And I said “So why don’t you canvass the people that you know in the psych department and see what they say.” So he, being a very serious and systematic man, did that, and he had a pretty wide group of people and he said that everyone of them that he went to said Reich is in an institution. He said, are you sure, and they all said they were sure. He said, “I know someone who’s going to therapy in Forest Hills with him.” And they were all amazed because they all knew that Reich was in an institution, and I don’t think that his information at any rate effected them, they probably assumed that he was let out temporarily. Of course this was something that had proceeded in America, in Europe the story of him being incarcerated in a mental institution occurred much before my treatment with him, and I think that whenever Reich took one of his big steps, when he moved beyond Communism and called the communists on their plague, at that time he became psychotic, when he moved beyond psychoanalysis and pointed out their defects, he became psychotic as a psychoanalyst, I think whenever he moved beyond anyone, the answer was now lets call him crazy, it’s true that he occasionally made statements or announced discoveries that were incorrect, and I think that’s a function of his genius, I think that Reich thought in extraordinary ways, he didn’t think in the tiny little steps that we are used to, but he took leaps of imaginations, and I think sometimes that landed him in heaven and occasionally it landed him in puddles. And when it landed him in puddles, people seized upon that and said this is evidence that he’s now gone beyond the bell. I think in the final statement is that this world would be a much better place if there were more psychiatrist like Reich. Morton Herskowitz D.O. - who has written 16 posts on The Journal of Psychiatric Orgone Therapy. Dr. Morton Herskowitz lives in Philadelphia, USA. 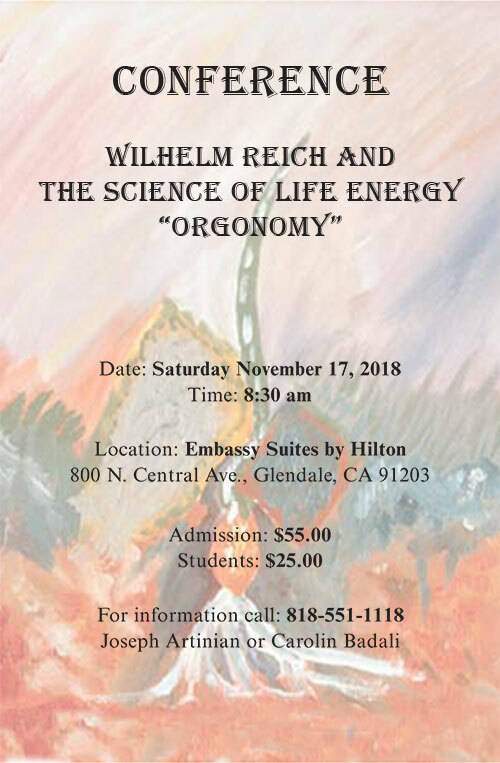 He is an osteopath and practices Orgone Therapy that was developed by Wilhelm Reich. 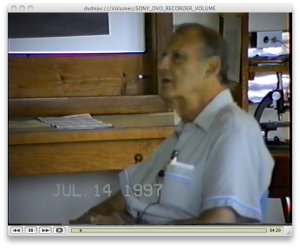 He was the last therapist trained by Wilhelm Reich personally. He was the president of the Institute Orgonomic Science and author of the book â€œEmotional Armor â€“ an introduction to psychiatric Orgone therapy. Be part of the progress. 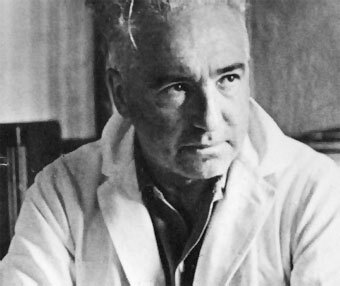 Help to preserve and promote Wilhelm Reich’s legacy and his infant trust fund, the best and only hope for peace, health and prosperity of human race. Make financial contributions to promote orgonomy and its institutions. All contributions are tax deductible. Be Part of the Progress ! Help the children of the future support the Wilhelm Reich Infant Trust. 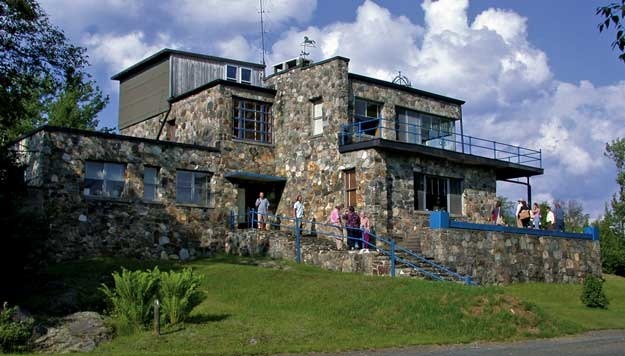 Become a friend and member of the Wilhelm Reich Museum. A brief explanation of select terms & theories used in psychiatric orgone therapy. 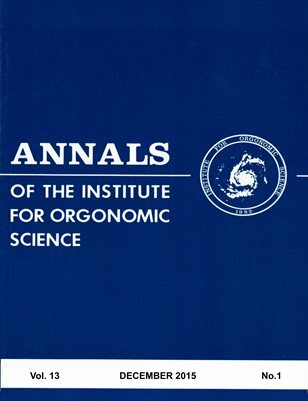 Honest pioneer work in the field of science has always been, and will continue to be, life\'s pilot. On all sides, life is surrounded by hostility. This puts us under an obligation. Available for purchase via the Wilhelm Reich Museum. © 2019 The Journal of Psychiatric Orgone Therapy.